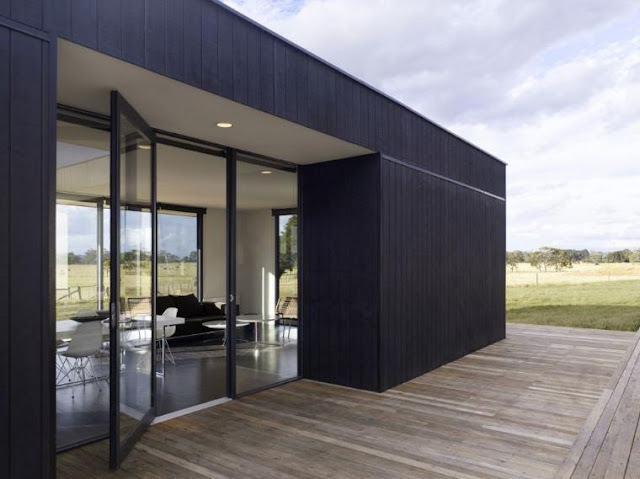 This modular home is one of the first modular housing projects completed by Intermode. 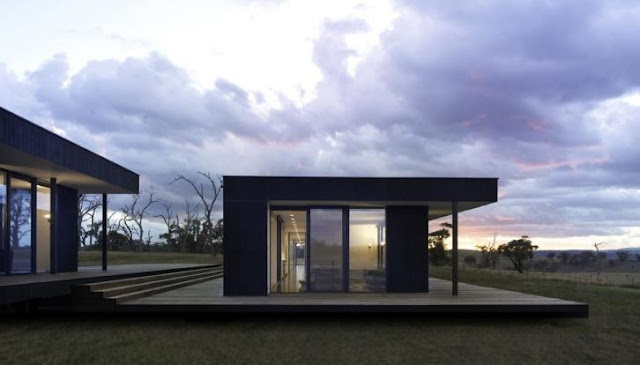 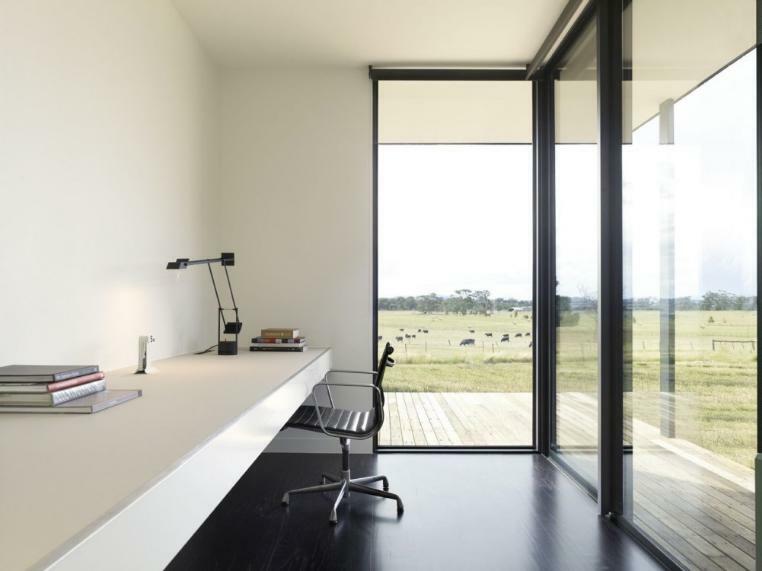 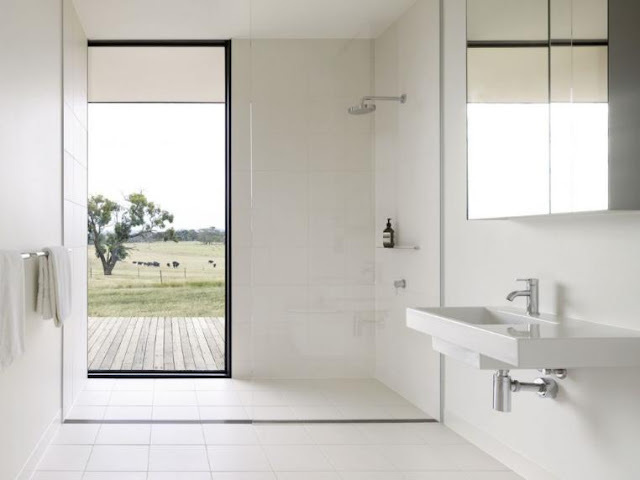 The prefab modular house system was conceived to create a modern and simple housing solution that, through modular building methods and innovative design, delivers contemporary and affordable design. The house, consisting of several modules, encompasses proprietary systems, standard building dimensions and prefab technologies to reduce the costs of a house construction, while maintaining the open spaces and clean simple lines conducive to modern living. The house was designed and built as a series of pavilions, some freestanding and others connected by glazed links, integrated in the whole structure via extensive decking. The facades are darkly clad to look boldly in the stark landscaping.